Ukrainians have no trouble developing reasonable and efficient business plans. We are familiar with the latest design and management principles. Unfortunately, these factors alone are not enough to attract international investment. In order for foreign capital to come to Ukraine, investors must give credence to the country and its economic abilities. However, these abilities still are often unpredictable. They can be hard to anticipate, assess or digitize. The current Ukrainian investment climate is comparable to real estate. From the outside, we see a nice facade, so we think we are looking at an attractive building. However, there may be an outdated elevator inside. The staircase may be cluttered and the plumbing in need of replacement. In such uncertain cases, investor interest is understandably low. Today’s Ukraine finds itself in a similar situation. We live in a rich country that ought to be attractive to foreign investors, where business development and construction should be highly profitable activities. In practice, declarative changes often fail to produce global improvements. The country has attracted significantly less foreign investment than neighboring countries like Poland that began the post-Soviet period from a similar position. Poland’s comparative success is not the result of greater resources but of correct management. The entire world competes for foreign direct investments (FDI), which serve as an important driver of economic growth and a key macroeconomic indicator. In principle, Ukraine is an attractive proposition for investors, including in the country’s real estate sector. However, Ukraine’s investment climate continues to suffer from negative assessments due to the perceived risks posed by factors such as so-called raider attacks. Sometimes these risk factors are associated with the country’s authorities. Any successful real estate investment case in Ukraine is a victory. Likewise, any loss due to raider attacks is a failure. This applies to the entire real estate sector rather than to any individual company. It is not a secret that bad news has a long shelf life. This creates an unfavorable image of a toxic investment climate at a time when investment companies, business ombudsmen, industry associations and government institutions are working to enhance the country’s investment appeal. Real estate occupies a conservative sector of any economy, typically featuring companies with multiyear histories. The health of this sector serves as an indicator of broader economic stability. If a real estate investor enters a developed economy, the market accepts them as a new entrant, not due to some specific agreements but according to the established market rules. I remain convinced that this will also be the case in Ukraine because the country has all the prerequisites in place for this. The Ukrainian real estate market has grown qualitatively in recent years. Now is the time for qualitative investment development. This development will benefit from solid foundations. Throughout the evolution of the Ukrainian real estate market, any more or less correctly planned facility built at a suitable location has been able to generate a stable income. At present, the kinds of facilities generating the most interest are infrastructure and cluster-type properties following the latest global trends and meeting the expectations of both domestic and international investors. 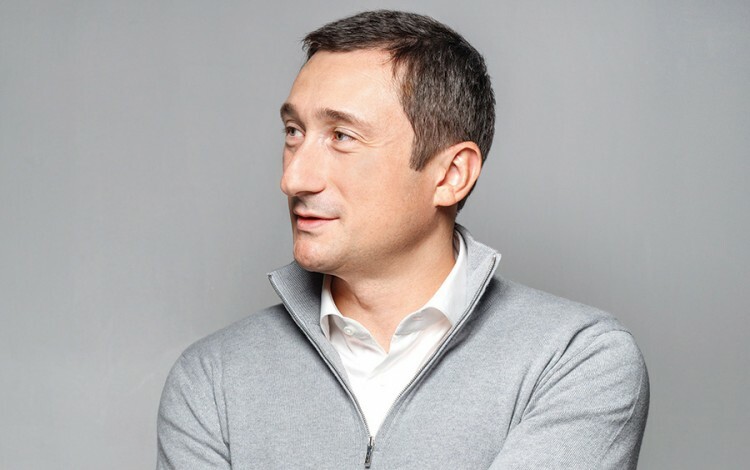 Location, concept, competition environment, innovation and punctuality are all important factors underpinning successful projects, especially given the current intensity of market development and the broader transformation of the commercial real estate concept. Investors entering the Ukrainian market necessarily take into account a multitude of risk minimization indications and related criteria. It is entirely possible to manage investment risks and even to minimize them. Professional business associations have a crucial role to play here and can help to attract foreign investment by providing such insights through sharing their experience and cooperating with both local and international experts. 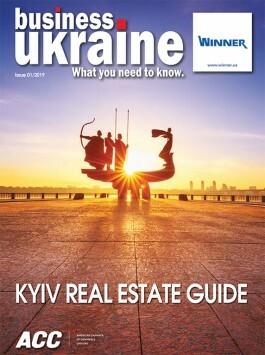 For example, in addition to enhancing awareness of Ukraine’s investment attractiveness among the international business community, the Ukrainian Real Estate Club (URE Club) business association also facilitates communication among real estate professionals at both the national and international levels, thus creating expanding opportunities for all market players. Can the government also participate in these activities? Absolutely. Nevertheless, the business community can perform an important function if it is able to consolidate efforts and effectively lobby for new opportunities and a better business climate. The establishment of industry-specific business communities is a long-term practice that has proven efficient in Ukraine. Any individual company can exert itself to improve its prospects, but it is unlikely to be successful in independent attempts to modify legislation in the direction that the industry as a whole requires. However, in cooperation with professional peers, such objectives become realistic. Business associations make it possible for community participants to influence the development of their business environment from the inside rather than the outside. All innovations are useful for the Ukrainian real estate market. This is equally true whether we are talking about internal measures to enhance competition and create a level playing field, or external input to facilitate a more transparent and attractive investment environment. Those of us engaged in real estate-related professional bodies must now focus on maintaining our own high standards, sharing reliable and credible information with global audiences, and building partnerships. There are arguably more direct ways of attracting foreign partners, but fostering a greater collective role for real estate industry professionals is one of the most honest and efficient approaches to enhancing the investment climate while also raising confidence in Ukraine.